Energy storage is quite a hot topic nowadays and the three articles on the internalized costs of energy storage therefore enjoyed broad readership and thorough discussions. Results from the internalized costs of mature storage technologies, batteries and synfuels will be summarized here for ease of reference. The metric used in the comparison is the spread between the selling and buying price of electricity required by the different technologies to break even when it comes to price arbitrage applications. More details on this metric can be found in the articles linked above. The internalized costs of different energy storage options are shown in the graph below. Error bars represent the range of estimates given in the comments below the original articles. Note that all energy storage options present the possibility for shaving wind/solar peaks and filling wind/solar troughs, except for thermal backup which can only fill the troughs. It is clear that the costs of all storage technologies (aside from chemical potential energy in fuels used for thermal backup) are substantially higher than the general electricity wholesale price. The mature technologies of pumped hydro and compressed air are the most cost-effective, but their very limited deployment globally demonstrates their lack of economic viability. Battery technology is the hottest electricity storage topic at present, but remains about one order of magnitude away from making economic sense for arbitrage applications. 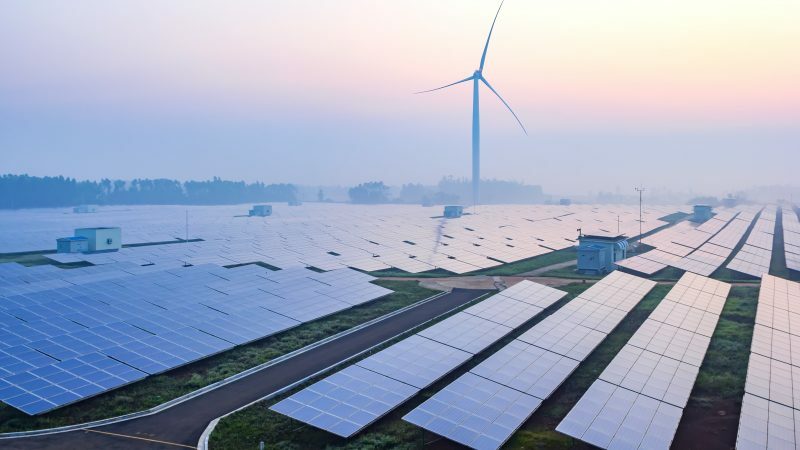 Batteries make more economic sense for other storage applications such as frequency regulation and off-grid dwellings, but these markets are tiny next to the potential size of the price arbitrage market. Power-to-gas-to-power is the only technology that makes sense for seasonal energy storage. Given that weather dependent electricity generation technologies can vary greatly between seasons, this could also be an important storage application in the long term. Creating liquid synfuels from excess electricity can lead to fuel costs of $202 per barrel of oil equivalent. Given the potential for future technology improvements, this peak shaving energy storage option could form a synergistic partnership with thermal backup for trough filling in the long term. In general, energy storage is still a very long way from large-scale deployment. However, the long-term future holds more promise as technology costs decline and price variations in the wholesale electricity market increase. This will be the topic of the “future costs” chapter of the Seeking Consensus project. >The mature technologies of pumped hydro and compressed air are the most cost effective at present, but their very limited deployment globally demonstrates their lack of economic viability. That’s the real key here, Schalk. It takes a pretty substanial price differential to make stored power cheaper than power generated on demand. Storage is useful for off-grid applications, but on-grid storage has a very steep hill to climb. The new Tesla battery for 10 kwh is $3,500 or $350 per watt, at the very lowest end of your range bar. Is this going to set the new market norm? While the chart sttes these are internalized costs of storage, I would suggest adding the benefits of resiliancy, with on site generation and your own storage to minimize the lost economicactiviites, save additional health and government services costs when the grid fails. In actual fact, the 10 kWh Powerwall costs $7140 (all included). Just like the LCOE of solar power should not be based on the wholesale price of solar panels, the levelized cost of battery storage should not be based on the wholesale cost of batteries. Using this cost ($714/kWh) in the calculations specified in my original battery article results in a levelized cost of $764/MWh. It should also be mentioned that the 10 kWh Powerwall is specialized for backup applications (and can only deliver a power output of 2 kW). Battery packs for daily cycling are likely to be significantly more expensive and will require bigger inverters (to handle the bigger power in and output) thus further adding to the BOS costs. I’m afraid it is very difficult to see batteries ever beating a diesel generator when it comes to backup applications for larger businesses or emergency services. The reason is simply that the cost structure of diesel generators is skewed heavily towards fuel, while the cost structure of batteries is skewed towards capital. For backup applications (~ once a year) you obviously want something with the lowest possible capital cost. Batteries can only be economical if they are used extensively (cycled daily or more) in order to recover the large upfront costs. Thanks for your clarification. I was thinking more of the use of the batteries for the storage of the renewables at the source of use like the home while providing the other benefits including having the electricity to run the gas fired furnace if you didn’t have the fossil fueled generator as well. Yes, some homeowners will be willing to pay a healthy premium for backup power. In fact, this is the first target market for Tesla’s Powerwall, even though it remains a luxury good (like the Model S). Wealthy homeowners who really want backup power would also prefer batteries to a generator because they are silent, require no fuel and are generally unintrusive. Another point to add on to my previous comment is the issue of reliability. A generator can deliver the stated power output for as long as it is fed with fuel, but a battery will eventually run flat. Battery backup will therefore be too risky for applications like emergency services. We have had major fuel delivery problems in recent outages. Batteries will be recharged from the renewables that will continue to work even while the grid is repaired. Our assciate has used the PV and transverter with lead aciid batteries and went through the two recent hurricanes in Hawaii with all his critical loads working. I assume that this project is designed to look at potential solutions to climate friendly approach to generating electric power. Certainly it is useful to look at the current state of the art (this post provides a number of graphs and links with information on Li-Ion progress, trends and projections) However it is important to clarify which technologies have headroom for cost reduction in useful time scales. Before Tesla’s Gigafactory announcement there was very broad consensus among analysts that Li-ion costs will drop below $160 / kwhr by 2025. Since the Gigafactory started construction there is growing conscensus that the number will drop below $100 / kwhr within 10 years. These numbers are still higher than what is needed if the storage is purchased strictly for grid backup. However large deployments of EVs offer the opportunity to get many of the storage benefits for free. Not with V2G (which degrades the batteries faster) but instead through the use of real time pricing and load shifting charging. This can make the grid much more tolerant of rapid fluctuations in renewables output. Also by shifting load to night time it allows for a larger build-out of wind raising the day time floor. In the 5 – 10 year timeframe we will have a much better understanding of whether battery prices will plateau or whether innovation appears able to continue relentless cost reductions in battery storage. So when Tesla lists a price of $3,500 on its websit, that’s only half the actual cost? Great point about night-time charging of EVs; but note that EVs are even more potent when coupled with nuclear. Wind and nuclear both can enjoy higher penetration with the day/night load flattening which EV can provide, but wind still has the seasonal demand anti-correlation, as well a low capacity factor, which means much of the power going to the EV fleet would come from fossil backup, whereas in the alternative, the EV fleet is nearly 100% nuclear powered. Regarding solutions to the rapid fluctuations in wind output: my utility has launched a smart meters program. They offer a summer-only time-of-use rate plan which features high cost evening power and cheap night-time power (i.e. perfect for the nuclear/EV solution, in combination with programmable charge time in the EV). This system is much less sophisticated than that which would be required to offset rapid fluctuation in wind farm output (with real-time max delay under a mintute? ), and does not even support hour-ahead price changing. It also avoids the risk of grid disruption due to computer network disruption. The battery alone isn’t enough to provide power to your home. You also need the inverter, a control system to determine when to activate the system and when to recharge it, plus maintenance over the system lifetime. Tesla has full right to list its wholesale battery price just like PV panel makers have full right to list their wholesale price for panels. But as we all know, we should not base our PV cost calculations on ~$0.60/W panel prices, but rather on ~$3/W full system prices. Same for the Tesla Powerwall. Sure, as stated in the conclusions of the article, energy storage is something to watch for the future. I’m sure we’ll have some interesting discussions when we arive at the “future costs” chapter of this project. About load-shifting with EVs, I’m still of the opinion that they are best suited to a traditional baseload-dominated power system (agreement with Nathan). Furthermore, we’ll have to wait and see how EV deployment proceeds. Personally, I think that deminishing returns on fuel savings relative to increasingly efficient ICEs and hybrids together with oil prices staying closer to historical norms will continue to hamper deployment in the medium term. In the long-term, I see more potential for the Toyota (fuel cell) pathway than the Tesla (BEV) pathway, also when it comes to integration with intermittent renewables. During windy/sunny periods there is too much variable energy generation that cannot be balanced by Germany’s OTHER generators. The excess is exported at near-zero wholesale prices more and more hours of the year as Germany generates more and more variable energy. At some point, the exports might overwhelm foreign grids and German energy dumping would need to be curtailed. Here are some calculations regarding the new TESLA units. Some folks are claiming one could buy low-cost energy during off-peak hours, store it in a wall-mounted, TESLA battery pack, and use the energy during high-cost, on-peak hours. Multiple units could be used. At 90% AC to DC inverter efficiency, and allocating half of the 8% DC-to-DC loss to the charging side (the TESLA unit has a round-trip DC-to-DC efficiency of 92%, per spec sheet), it would take 7/(0.9 x 0.96) = 8.10 AC kWh of off-peak grid energy to charge 7 DC kWh into the unit. During on-peak hours, one would get back 7 x 0.96 x 0.90 = 6.05 AC kWh to use in the house. A big percent loss of energy!! The INSTALLED cost of the 7 kWh TESLA unit = $3,000 + S & H + Contractor markup of about 10 percent + $2,000 for an AC to DC inverter + Installation by 2 electricians, say 16 hours @ $60/hr = $6,500. In Southern California, base rates are $0.11, off-peak, and $0.46, on-peak; which likely is THE best-case scenario in the US. But this rate ratio is only for 6 months. The 8.10 AC kWh, off-peak, would cost $0.89. The avoided cost of 6.05 AC kWh, on-peak, would be $2.78, for a profit of $1.89/day, or $691/yr, for a SIMPLE payback of about 10 years. Adjusting for the rate being for 6 months, the SIMPLE payback would be about 10 x 2 = 20 years, not counting the cost of financing, PLUS any costs for O&M, PLUS any capacity degradation due to deep cycling. The TESLA warrantee is for only 10 years (for manufacturing defects, not performance! ), and during these 10 years, there would be 3,650 deep discharge cycles, which far exceeds what such batteries are designed for, meaning there would be capacity degradation that would further lengthen the SIMPLE payback period. 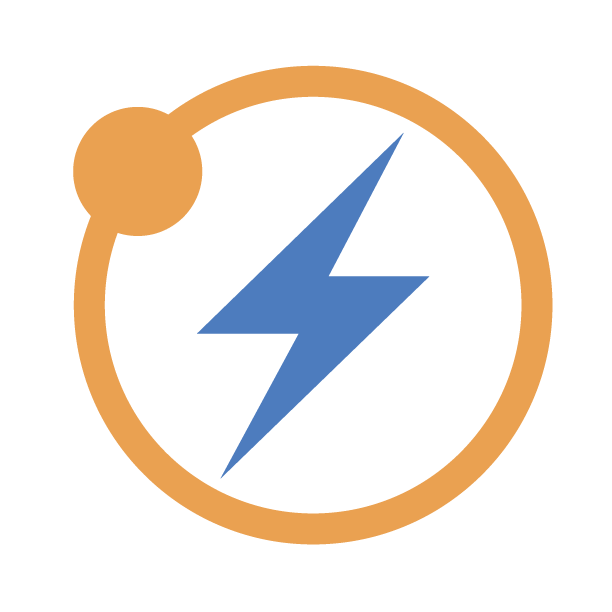 NO battery* exists that can be repeatedly discharged 100%, i.e., charging and discharging likely would need to be limited to about 50% of capacity, or less, to limit capacity degradation and maintain a reasonable useful service life. *A flow battery may be the exception. I LOVE this clear, rational analysis! Many thanks. ….., or $7,140 per this URL. Can you point me to a report on this. I could back it out of the ERCOT raw data but if you have something that spells it out would be appreciated. Many people who saw $3,500 for the 10 kWh unit and jumped on it as being an energy storage answer. The cost of an entire installed system is about $6,500 to $7,140. TESLA is under no obligation to provide the installed cost, but probably has a good idea what it is. TESLA likely has working setups in its laboratories to verify/refine the final product performance over at least the past year or so. Please, show us what equation you used to arrived at the $764/MWh. Please, state your assumptions and see my above comment. Its kind of a mixed bag. For years everyone knew that the module cost drove the system price so when modules were $3, $4, $5 / Watt they really were the thing to be focussing on. It is only recently that that has changed. Now the important cost reduction discussion is for the system as a whole. Similarly only a few short years ago Li-Ion was north of $1000 / kwhr. At that point taking the remaining system costs into account needlessly overcomplicated the discussion. As batteries fall below $200 / kwhr I think the discussion will flip over to the system price. I wrote some about the Powerwall here. I argued that it is a useful device in the evolution of Li-Ion storage and for elevating the discussion to be accessible by the lay public. But they are by no means a ready for prime time solution to utility scale storage. I think it is very much a pilot project which will receive a good bit of money from the CA storage initiative. Then at some later date they will bring out the model C of batteries and storage systems as the Gigafactory is moving toward full volume. It seems like it doesn’t get discussed much. The old NREL data shows it in the seasonal wind resource maps, but the new DOE maps average the entire year. I kind of suspect that the principal audience for the maps (utilities and developers) just assume that any near-term wind farms they are considering will spend their service lives in a grid which is dominated by fossil fuel generation (i.e. seasonal supply/demand matching is someone else’s problem). Good to hear these kinds of succes stories. Although the market is small, it will be interesting to see some more detailed analysis of the risks related to fuel delivery/stockpiling with a generator and weather dependency/limited storage capacity of PV+battery. As outlined in all my Seeking Consensus articles on individual energy options, the Excel files I used to generate the estimates are openly available here. The $764/MWh estimate is based on assumptions of $714/kWh all in capital costs, $10/kWh/yr O&M, 90% efficiency, 5000 cycles completed at 1 cycle per day (13.7 years lifetime), an electricity purchase price of $30/Mwh, average depth of discharge per cycle of 30%, and a 5% discount rate. Feel free to download the files and play around with different estimates of the variables to calculate the levelized costs of storage. Your spreadsheet shows $600/ kWh and $800/kWh capital cost columns. How is the $764 determined? Is it $891 – $150 BOP & PCS? What is BOP & PCS? Also, as cycles accumulate, performance degrades more and more. 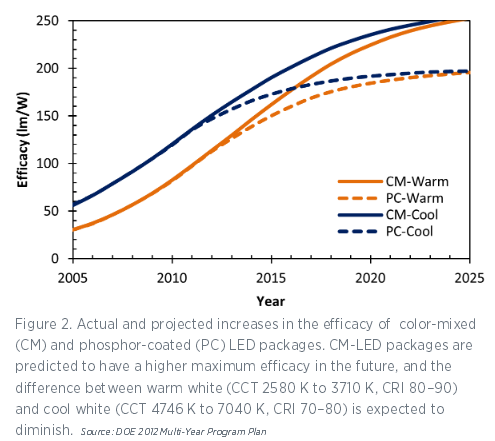 The annual costs need to be adjusted upwards to reflect that year’s degradation, i.e., the LCOE for a 5000-cycle life likely is significantly higher. It is similar to a PV system have a performance degradation of about 0.5%/yr, which after 25 years is significant. The TESLA unit has a DC round trip loss of 8%, per TESLA; that % may increase with increased cycles. The DC to AC inverter has a loss of about 10%. Your spreadsheet shows an overall 10% loss. Example: I have some old rechargable batteries for my computer mouse that take only a 60% charge, no matter how long they were in the charger, whereas my new rechargable batteries take almost a 100% charge. Schalk just showed you it is a total dog. Also see my comment, which also shows it is a total dog. The PV system has to have its own inverter. It could not be used as the inverter of the TESLA unit. The TESLA unit has to have its own inverter, plus several other hardware items to make a complete system. In this example, I put BOP & PCS (balance of plant and plant connection) to zero and just put 714 in the capital costs. The degradation effect I think is too small and poorly understood for batteries at this stage to include in the analysis. Battery utilization (number of discharge cycles per day and the average depth of discharge) is the most important factor in this calculation after capital costs. One should make sure that assumptions regarding these numbers are reasonable. The losses within the system are not trivial. My capital cost of $6500 and analysis was for a 7 kWh unit and I was assuming a wildly optimistic 100% charge/discharge. At 30% charge/discharge, the economics is completely off the charts. At 90% AC to DC inverter efficiency, and allocating half of the 8% DC-to-DC loss to the charging side (the TESLA unit has a round-trip DC-to-DC efficiency of 92%, per spec sheet), it would take 10/(0.9 x 0.96) = 11.57 AC kWh of off-peak grid energy to charge 10 DC kWh into the unit. During on-peak hours, one would get back 10 x 0.96 x 0.90 = 8.64 AC kWh to use in the house. A (1 – 8.64/11.57) x 100% = 25.3% loss of energy!! Some folks are claiming one could buy low-cost energy during off-peak hours, store it in a 10 kWh, wall-mounted, TESLA battery pack, and use the energy during high-cost, on-peak hours. Multiple units could be used. NO battery* exists that can be repeatedly discharged 100%, i.e., the charge/discharge likely would need to be much less than 100% to limit capacity degradation and maintain a reasonable useful service life. To prolong battery life to about 5,000 cycles (13.7 yrs), the charge/discharge is assumed at 30% of 10 kWh. The INSTALLED cost of the 10 kWh TESLA unit = $3,500 + S & H + Contractor markup of about 10 percent + $2,000 for an AC to DC inverter + Misc. hardware + installation by 2 electricians, say 16 hours @ $60/hr = $7,100, or $7,140 per this URL. The off-peak cost would be 11.57 x 0.3 x 0.11 = $0.382. The on-peak avoided cost would be 8.64 x 0.3 x 0.46 = $1.192, for a profit of $0.81/day, or $296/yr, for a SIMPLE payback of about 7100/296 = 24 years. Adjusting for 6 months, the SIMPLE payback would be about 24 x 2 = 48 years, not counting the cost of financing, PLUS any costs for O&M, PLUS any capacity degradation due to cycling. The TESLA warrantee is for only 10 years for manufacturing defects, not performance!! Too bad there isn’t more on it. At one point NREL did a simulation showing how wind farms spread across the country would play together. The graphics were really well done and it offered a good sense of where things worked and where they didn’t. It used the older 80 meter tower data and no EVs but it still helped give a sense of how it worked. Unfortunately they took it down without explanation. Looks like some Saturday morning it may be worth mining the Ercot data, at least that provides a starting point. Also see actual net wind generation for the US, available from EIA here. Best month is inevitably March-April, worst is August with the worst month falling to ~55% of the best. Both of you described various ways to deal with the wind/solar problem. If Germany had all this turndown and curtailment ability, then why export AT A LOSS? The main problem is Germany’s excessive production of variable energy during sunny/windy periods, and INCREASING annual exports of energy as a result. That energy has cost the German economy about 20 eurocent/kWh, per ENERGIEWENDE. That 20 cent will go down slowly over the next 10 to 15 years, as a result of reduced subsidies, but will NEVER be 5 c/kWh. I predict it will ultimately reach 10 to 15 c/kWh. Getting rid of fossil and nuclear, two low-cost producers, and dealing with unpredictable, variable energy, will not come cheap. If, temporarily, wind/solar is 50% of total generation, and is mixed with traditional energy, which has a cost of about 5 eurocent/kWh, the mix cost is 12.5 eurocent/kWh. That mix is sent around European countries at near negative prices. Germany is a rich country. Has a big trade surplus. It can afford to give some of that up, in return for being green and urging others: “Be like us”. With few exceptions, all these others are poor. – Has an installed cost, with other equipment, of about $7,000. – Can be cycled up to 50 times per year for buying energy during low cost periods, storing, and using the energy during high cost periods. – Has an installed cost, with other equipment, of about $5,000 under lease, or $7,140 if bought. PS. This latter case involves the following energy loss. During on-peak hours, one would get back 0.5 x 10 x 0.96 x 0.90 = 4.32 AC kWh to use in the house, for a (1 – 4.32/5.79) x 100% = 25.3% loss of energy!! The off-peak cost would be 5.787 x 0.11. The on-peak avoided cost would be 4.32 x 0.46, for a profit of $1.35/day!!! The monetary gain of this arbitrage is miniscule. Thanks for the numbers, Willem. Is the WSJ article you refer to available online? I can’t find it. If the $7000 price tag you cite is correct, Tesla really has only put old wine in new bottles. The currently operating battery system supplier I have been in contact with also offers this scale of battery storage solutions for about $1000/kWh all included. At least these prices will now become much more publically available following the introduction of the high-profile Powerwall. For the 10 kWh system, one really should not look at the economics (running the numbers for this system returns a required breakeven spread of over $2000/MWh). People buying this system either really want to have a few hours of clean and quiet backup power regardless of the price or want to make some kind of statement. The inverter losses you mention is just another reason why homes storing grid electricity in batteries is enormously economically unfavourable. The home battery solution must be applied for the purpose of solar PV power shifting which makes it much more attractive. The fact that SolarCity sees no market for the 7 kWh solar battery and a large market for the 10 kWh backup battery illustrates just how much PV subsidies (net metering in particular) are distorting the market. The thing I’m more interested in is the Tesla Powerpack (larger scale solution). Like utility scale solar PV, utility scale battery storage makes quite a lot more sense than the distributed options catching all the headlines. I’m hoping for some reliable all-in numbers on this option soon. The article was in the WSJ paper version of the last few days. Even a PV solar system owner doing some energy “shifting” with the 7 kWh unit is quite a stretch, based on need, and makes no economic sense, unless grossly subsidized. You are right about utilities using multiples of the 100 kWh units for stabilizing their distribution grids with large numbers of PV systems. The US DOE, getting on that bandwagon to look progressive, will be subsidizing those applications for “demonstration purposes”. The more we shift to renewables, the more we shift the US wholesale price of the mix of energy from the current 5 c/kWh to about 10 – 15 c/kWh. That trend in increasing wholesale prices would be more visible, if many of the RE changeover costs were actually charged to the US energy system. Instead, they are “socialized” by POLITICIANS, because they do not want to be blamed for raising the cost of electricity. That change in cost is a MAJOR shift, which will make ALL our goods and services, not just energy, much more expensive, as is already happening in Germany, although many RE proponents blame it on other factors; somewhat like Miss Piggy: MOI? In fact, Germany, being THE economic engine of the EU, has experienced slowing economic growth in the past few years due to its growing ENERGIEWENDE. Weaker EU countries are significantly affected by the German economic slowdown. Germany losing part of the very profitable Russian market and throwing billions into a black hole, called Ukraine, is an additional headwind. Using the link that Mark provided I normalized production to see what the natural gas “Lock-In” would be in the event that only NG was used to address the anti-correlation. I used the monthly energy for 2014. We would require 10% of our electricity to be produced by NG. That NG generation is already built. The calculation assumes today’s 32% CF rather than the possible 50% CF for wind if we build transmission to the best sites and then added decorrelated sources from off shore wind. So I think it is reasonable to say that this is a worst case scenario and that Lock-In would be less. There are a variety of yeah buts to this but it puts real data to this claim that is loosely thrown around so much on this site implying that large amounts of NG are going to be “locked in” . It should also be pointed out that no solar is included in this scenario. Solar summer peaks and is near coincident to the demand peak especially if you use West or Southwest facing arrays or include tracking. That would further reduce the NG demand. And finally there is a lot of opportunity for peak shaving through load shift and the transition to LED lighting and the rapidly emerging trend of more efficient computers – for example tablets and smart phones and LED displays replacing LCD displays. 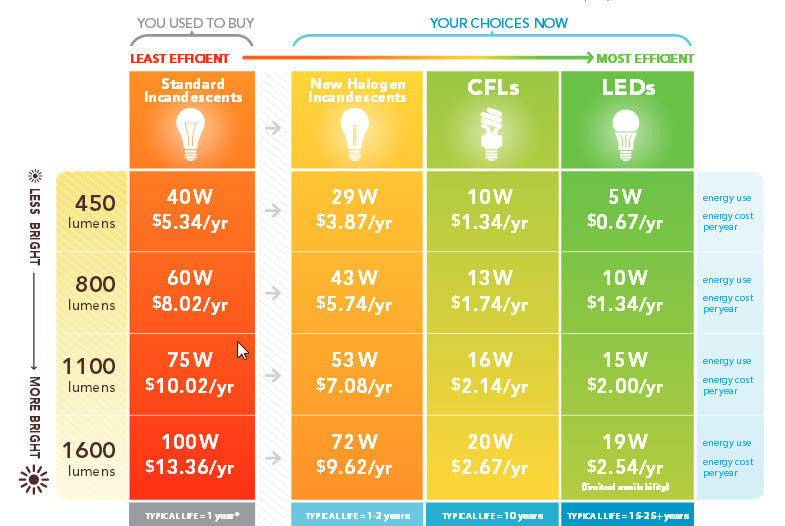 For lighting LEDs are already more efficient than CFLs and are projected to have another near doubling of efficiency. As lighting and other demand is reduced so is air conditioning demand since less heat is produced. I think that the NG lock-in concept has merit for consideration but the assumption that it is a foregone conclusion with renewables is pretty tenuous. The industrial exemption likely ends in 2017. Traders are people who sit before terminals pressing buttons. They do not own the energy. The energy is owned by the utilities who try to get rid of it, because their consumers do not need it. Hence it has to be IMMEDIATELY exported at firesale, near-zero, even negative prices. It cannot be stored. Germany’s money-losing energy exports have been increasing exactly for that reason, much to the delight of the Dutch, French, etc. I am well aware feed-in tariffs are declining and that the present LEGACY ENERGIEWENDE cost of about 20 eurocent/kWh will be sloooowly declining. Remember, I wrote an article on the subject, which I am sure you did not read, even though I provided the URL. That article has over 50,000 views on this site; one of the most-read articles. Give it a shot. You will surely learn something. You are talking technicalities regarding trading, ownership, etc. The physical fact is the energy has to be exported at whatever price is obtainable. It cannot be stored. 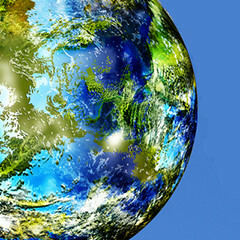 Why do you think the Dutch, French, etc., gladly receive the near-free energy? Whenever they get a good deal, someone else gets a bad deal. In this case, it is the German households paying almost 30 eurocent per kWh, half of which are various charges and the other half is energy, distribution, etc., by utilities. See my article for details. The data from EIA Wind data that Mark linked below shows that US wind energy production peaks not in winter, but in the Spring, which is when electricity demand is lowest. So if the wind power deployment is limited to avoid excess Springtime curtailment, then extra peaking generators (usually fossil fuel fueled) will be brought on-line during the winter, which means that effectively electric winter heat would be fossil fuel powered. That’s why I argue that dispatchable fuel synthesis is an important mechanism for seasonal supply/demand matching in a low fossil grid that is rich in solar and wind (more so than batteries or pumped hydro). Fuel synthesis is not currently cost effective in fossil fuel producing nations, which leads back to nuclear being a more viable solution. Nuclear plant output correlates somewhat with both summer and winter demand peaks (i.e. reduced spring/fall output due to scheduled maintenance). Also, waste heat from combined-heat-and-power plants (including nuclear) is about the cheapest source of heat there is. You are right, except about 8 out of 10 free-standing houses in the US could not be ECONOMICALLY equipped with heat pumps, unless these houses first were made into low-energy-consumption houses. All of the Germany economy is loosing money when producing a product at a cost of about 20 c/kWh and exporting it at near zero prices; the French, Dutch, etc., love it. Did not I point out German households, the 95% without PV systems, are being shafted by the ENERGIEWENDE? Read this article and you will be so much better informed. “That’s why I argue that dispatchable fuel synthesis is an important mechanism for seasonal supply/demand matching in a low fossil grid that is rich in solar and wind (more so than batteries or pumped hydro). The Germans installing wind and solar continue to take money via taxes from other Germans in order to do so. The study indicates way more potential for pumped hydro than previously anticipated yet since it is based on results of an algorithm further verification is needed. Interesting interview on which role hydrogen can/will play in helping to decarbonize the energy sector.After monitoring the space around "hydrogen" for a while now it is worth noting that hydrogen has obviously reached a stage beyond the.. The acquisition of Maxwell is a pretty sure sign that Tesla sees bright prospects when it comes to making good use of Maxwell's range of ultra- and super-capacitors, millions of which have been applied widely in situations where high-power..